Southwest Airlines faces yet another aircraft repair related fine — this time for $325,000 — from federal regulators after flying an airplane too long after it had received temporary repairs. The Dallas Morning News reports the latest fine for Southwest brings its total tab to $12,653,550 in less than two years. According to the Federal Aviation Administration, the most recent fine stems from when an inspector with the regulator took a look at an 18-year-old Boeing 737 while it was in a maintenance facility in San Salvador, El Salvador in July 2014. The inspector discovered that Southwest had improperly recorded a temporary repair to an nine-inch crease in the aluminum skin of the jetliner’s rear cargo door as a permanent repair. The FAA alleges that Southwest didn’t abide by those requirements, and instead flew the plane on 24,831 flights without performing periodic inspections. For its part, Southwest says it discovered the potential deficiency in July 2014 and all issues were promptly addressed to the satisfaction of the FAA. The airline’s latest fine comes four months after the FAA levied a $328,550 fine against Southwest for two safety issues that occurred in 2013. The first case – which received a penalty of $265,800 – involved a plane that lost cabin pressure during a flight from Boston to St. Louis in May 2013. The FAA alleges that mechanics for the airline failed to do a mandatory inspection for damage and to ensure the depleted oxygen bottles were replaced after the flight landed. In the second case, the FAA alleges that mechanics improperly deferred repairs and failed to log issues regarding air leaking from an air conditioning unit on one of Southwest’s AirTran Airways planes. Back in February, the airline had to cancel dozens of flights after learning that one-fifth of its entire fleet was overdue for necessary maintenance checks. In all, the airline had to ground 128 planes pending inspection, but reached a deal with the FAA that allowed the jets to continue flying. The airline is also currently battling the FAA on a $12 million fine related to improper repairs going back as far as 2006. When the fine was first reported in January 2014, FAA investigates said they found three separate incidents in which Southwest and its hired contractor improperly repaired aircraft. 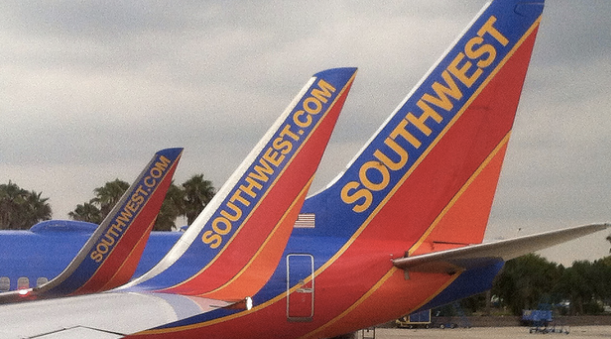 Southwest refused to pay the fine, and in November the U.S. government filed a lawsuit seeking the payment. That case is scheduled to go to trail in 2016.